Showing 52 articles from April 9, 2014. LOUISBURG — A Franklin County woman is recovering from a beating that investigators said put her on a ventilation machine. Her alleged attacker, Timothy Todd Medlin, was charged with assault inflicting serious bodily injury. According to investigators, a passerby was walking along the 900 block of Ronald Tharrington Road the morning of April 6 when they came upon a car they thought might have been in a wreck. Distracted an instant, dead forever! LOUISBURG — Late last week, Louisburg High students sat on bleachers, fiddling with cell phones and joking with each other, the kinds of things you would expect to hear or see before the next sporting event began. 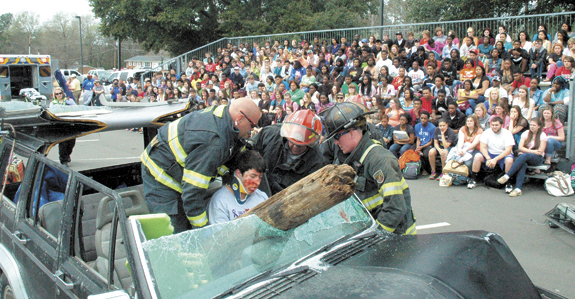 However, members of the Vehicle Injury Prevention for a Very Important Person team weren’t playing games. And when it was time to start, neither were students. LOUISBURG — One suspect in a home invasion shootout will spend the rest of his life in jail. 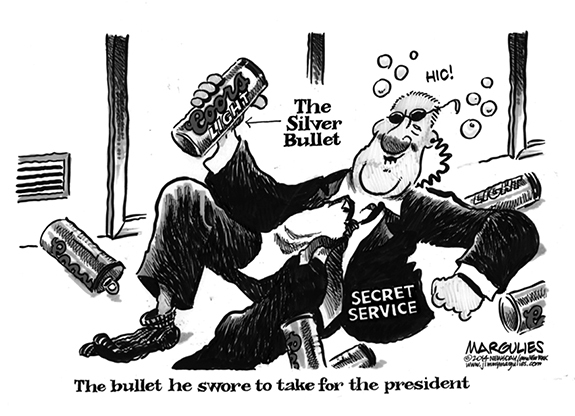 The case against his accomplice remains pending. Last week, a jury found Walter Eugene Spinks guilty of assault with a deadly weapon with intent to kill inflicting serious injury, attempted robbery with a dangerous weapon and possession of a firearm by a convicted felon. SEIZED. Investigators confiscated a Lexus sedan that they allege Dr. Ghassan Al-Sabbagh was driving the morning of March 20 when he hit a pedestrian and left the scene. Officers arrested him last week, charging him with felony hit and run. 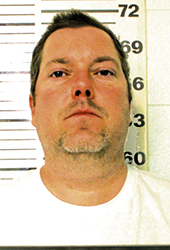 LOUISBURG — A local doctor arrested last week on felony hit and run charges related to a fatal wreck is scheduled to appear in court later this month. Raleigh police officers arrested Dr. Ghassan Al-Sabbagh the afternoon of April 3 outside Novant Health’s Franklin Medical Center, where the gastroenterologist had privileges dating back to 2000. Franklin County children will have at least two chances to get their fill of candy and prizes this weekend. First, Franklin County will host its 18th annual Easter Egg Hunt at Franklinton Park on Saturday, beginning at 11 a.m. The event is for children ages toddler through fifth grade. There will be candy and prizes at the event on Park Avenue in town. The springtime smell precedes the flowers! Spring Fever has reached epidemic proportions in Franklin County — and some of us, like me, are “blaming” our farmer neighbors for catching it. That’s undoubtedly who caused my case. 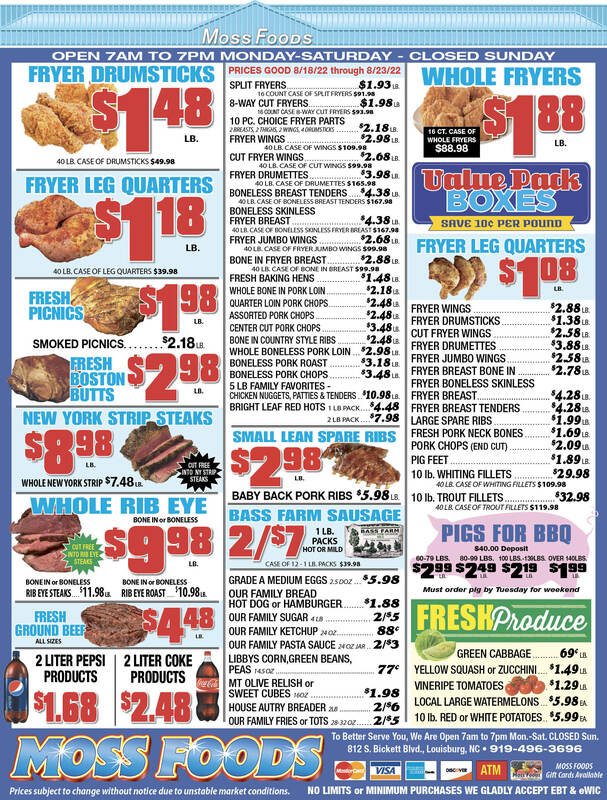 If you’re a parent or grandparent, you likely cringed at the photos on Page 1 of this edition. We’re sorry about that — but not sorry enough to ignore the danger that our young people face, especially at this time of the year. Prom season and soon, high school graduations will be the focus of many local families — and if history is any indication, that’s one of the most dangerous times of the year for teenagers. If your spouse is in law enforcement, there is always a chill that goes down your spine, either when the phone rings at 3 a.m., or when the department’s number shows up on your caller ID. The same, I’m certain, is true for the spouses or family members of firefighters. It’s no stretch to think that they all dread that call informing them that something has happened to a loved one. Party politics: You’ve been tagged, you’re it! Election 2014: The District Attorney race, 9th Judicial District, which includes Franklin, Vance and Granville counties, is a single party Democrat Primary event. 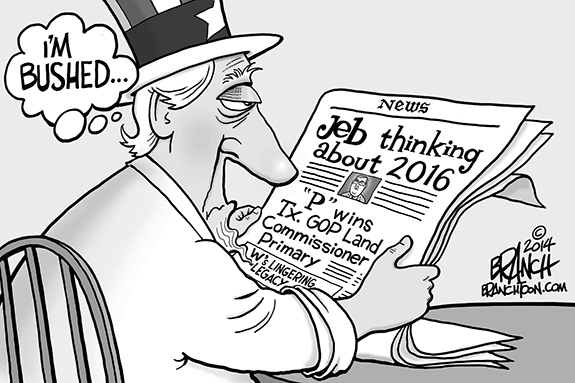 There is no Republican challenger in the November general election. The person that wins the primary in May will be your District Attorney for the next four years. Only Democrats and nonaffiliated voters have the option of voting in this race. This column is a small portion of my writing. An all-too-common theme in much of it is the role of money in politics. In a nutshell I think it is way too large. 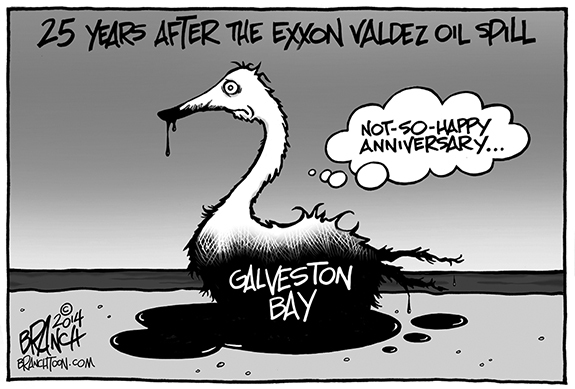 With 2014 less than four months old, we already have an example of its impact and a move in the wrong direction. I am writing to set the public record straight by addressing a series of misrepresentations made by right wing Tea Party leader Steve Trubilla in the April 2, 2014 Franklin Times. Trubilla claims the “We The People” organization is simply “a non-partisan citizen group not a Tea Party political organization.” This statement contains two deliberate misrepresentations. I recently retired from the Franklin County Solid Waste Department as Keep America Beautiful coordinator, which, of course, means I was involved in promoting a clean, litter free county. As I ride the roads of Franklin County today, I can’t help but notice that the amount of trash on the roadways is appalling, and it certainly does not promote the county in a good way. YOUNGSVILLE - Carla D. Hockaday, 57, died Saturday, April 5, 2014 at Wake Medical Center in Raleigh. Funeral services will be held at 2 p.m. Saturday, April 12, at Corinth U.C.C. in Youngsville. Burial will follow in the church cemetery. LOUISBURG - Funeral services for Clarence A. Davis, 69, who died Tuesday, April 8, 2014, will be held at 1 p.m. on Tuesday, April 15, at Mitchell Baptist Church. Burial will follow in the church cemetery. WELCOME, N.C.— Dorothy Bell Burnette, 77, died Sunday morning April 6, 2014 at her residence. Funeral services were held Wednesday, April 9, in the Chapel of Bright Funeral Home in Wake Forest. Burial followed in the Flat Rock Baptist Church cemetery in Louisburg. YOUNGSVILLE - Ernestine Wilder, 93, died on April 8, 2014 at her residence. LOUISBURG - Ida P. Cooke, 83, died Friday, April 4, 2014 in Raleigh. Funeral services will be held Saturday, April 12, at 1 p.m. at Alston-Anderson Funeral Home chapel in Louisburg. Burial will follow in the Cooke family cemetery, Louisburg. LOUISBURG - Funeral services for Robert “Darren” Davis, 47, who died Tuesday, April 8, 2014, will be held at Noon on Saturday, April 12, at Walnut Grove Baptist Church, with the Rev. Timothy Walker officiating. Burial will follow in Oakwood Cemetery. PLEASE COME BACK TO ME. Franklinton High School’s Geneva Hunt (left) tries to come up with a loose ball during the Lady Rams’ appearance last Saturday morning at the annual Brittany Girls Soccer Showcase at Gillette Park in Wilson. 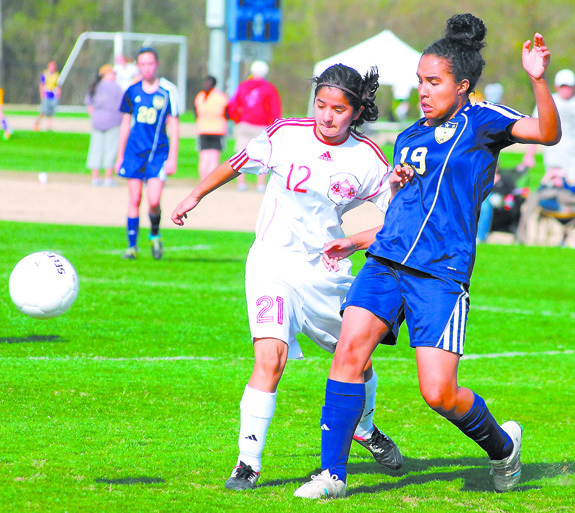 WILSON - Under normal circumstances, a matchup at The Brittany Girls Soccer Showcase usually involves a meeting between two faraway clubs that aren’t very familiar with each other. That certainly wasn’t the case for the Franklinton Lady Rams during their appearance at the prestigious event last Saturday morning. MAX MAKES HIS MARK. Exchange student Max Kohn has been exceptional at No. 1 Singles this season for the Louisburg HS boys tennis squad. 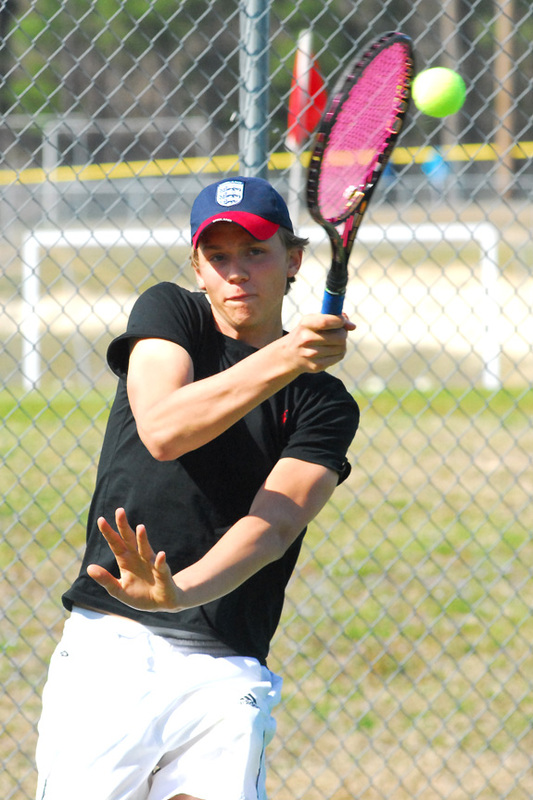 BUNN -- Given how poor the weather has been this spring, it’s quite symbolic that the Louisburg Warriors have enjoyed a perfect storm in boys tennis action. Thanks to the influx of exchange students Max Kohn (Sweden) and Sam Chmurovic (Slovakia), the Warriors boast a strong lineup that will probably be remember as one of the best -- if not the best -- in school history. CLEAR THE DECK. Bunn third baseman Alli Davis (left) throws out a Southern Nash baserunner as pitcher Erica Davis (foreground) ducks out of the way during last Thursday afternoon’s non-conference softball showdown in Stanhope. STANHOPE -- Bunn carried a two-pronged strategy toward a softball victory last Thursday afternoon against backyard, non-conference rival Southern Nash. The Ladycats came up with some strong hitting and pitching -- all the while taking advantage of walks and some untimely Southern Nash errors. GOING TO BE CLOSE. 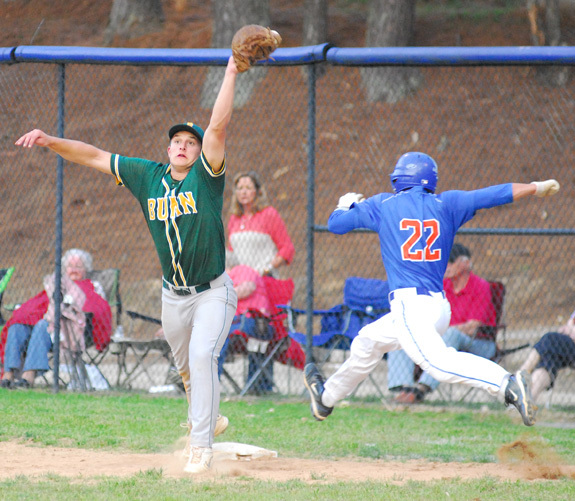 Bunn’s Spencer Brickhouse (left) fields a throw at first base to edge Louisburg’s Caleb Allen during last Friday’s baseball contest. LOUISBURG -- Pitching depth is mandatory for any team hoping to make a deep run in the state baseball playoffs. That’s been a requirement that has hampered Bunn at times in the past postseasons, but don’t bet on it happening this spring. The Wildcats have plenty of options on the hill, as evidenced by last Friday’s road diamond meeting at long-time rival Louisburg. I’LL TAKE THAT. Bunn’s Sarah Pearce tries to gain possession of the ball during last Saturday morning’s match against Washington at The Brittany Girls Soccer Showcase at Gillette Park in Wilson. 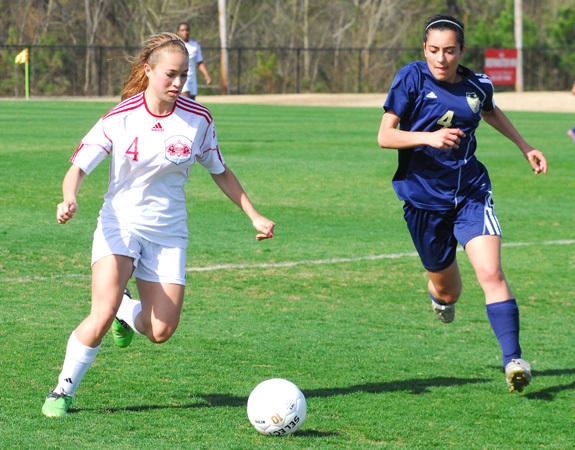 WILSON -- After an elongated stint away from the prestigious event, the Bunn Ladycats made a return journey to Gillette Park last season to participate in the annual Brittany Girls Soccer Showcase. Bunn was back in action at The Brittany last Saturday, but the Ladycats were paired up with a tough opponent -- the Washington Pam Pack. ADVANCED PLACEMENT. 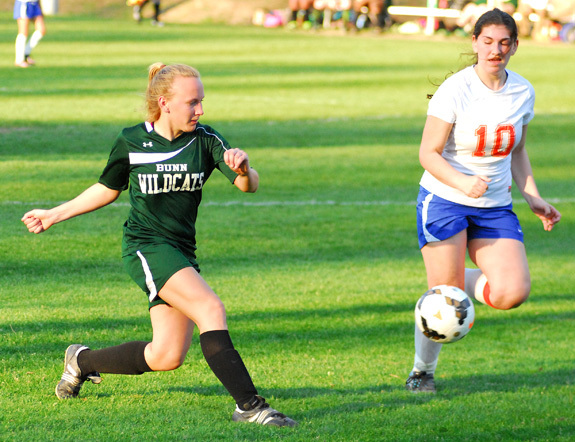 Bunn’s Rachel Maynard (left) sends the ball forward during the Ladycats’ road victory last Wednesday evening against host Louisburg at Joyner Park. 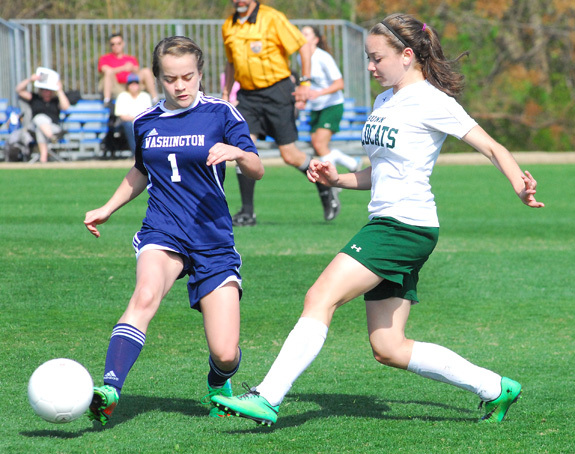 LOUISBURG -- Finding depth at the goal-scoring positions has been a priority this season for the Bunn High School girls soccer squad. The Ladycats are blessed with a few consistent snipers, but the coaching staff would like to see more offensive-minded heroics as BHS progresses through its campaign. 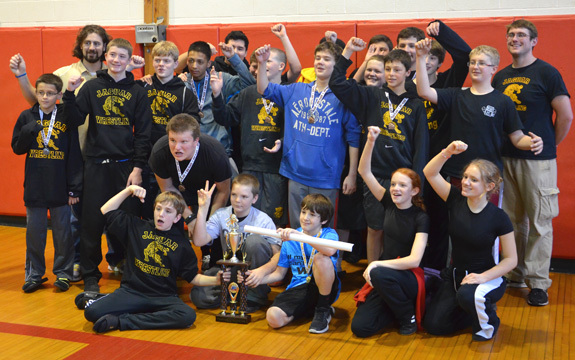 YOUNGSVILLE -- Cedar Creek Middle School’s mini-mat dynasty continued this season as the Jaguars repeated as the MAC-9 Conference Tournament Champions. CCMS, coached by James Smetana, finished perfect in league action after taking the tourney, which was held in February at Franklinton Middle School. FRANKLIN COUNTY -- Bunn High School standouts Tainasha Vines and Deshawn High have earned accolades on the North Carolina Basketball Coaches Association’s All-District 6 Teams for the 2013-14 season. High, a senior guard, was tabbed for the First Team All-District boys squad after averaging 24.2 points per game while leading the Wildcats to the Northern Carolina Conference championship. He is expected to sign with Louisburg College this week. LOUISBURG -- The Louisburg College softball team split a weekend series with USC-Sumter as the Lady Canes took game one on Sunday, 2-0, but fell, 2-1, in the series finale. Megon Smith earned the mound win in game one, improving her season record to 8-6. 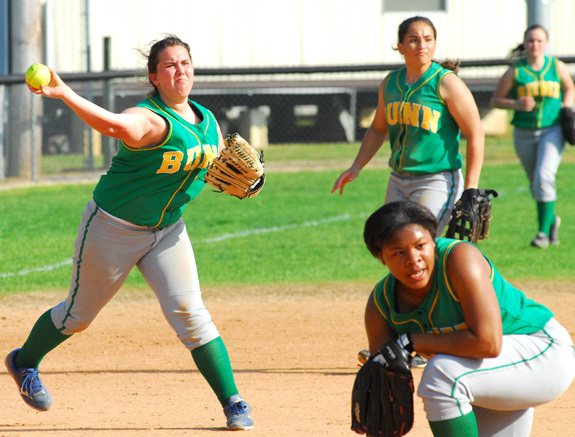 The freshman threw all seven innings where she spread out four Fire Ant hits, all while striking out five Sumter batters. ZEBULON -- Dylan Baker retired 18 consecutive batters in his first start of 2014 and the Carolina Mudcats two-hit the Frederick Keys 6-0 on Tuesday night at Harry Grove Stadium. Baker (1-0) impressed with strong control over his six innings, striking out four. Only two batters were able to work ahead in counts against the Juneau, Alaska, native. SMITHFIELD -- Tyler Woodside of Oxford, a member of the golf team at Vance-Granville Community College, was the individual medalist at the Johnston Community College Spring Invitational, held March 24 at the Country Club of Johnston County. Originally scheduled as a two-day event, inclement weather shortened the tournament to one day. LANCASTER, S.C. -- The Louisburg College Hurricanes baseball team dropped a pair of road conference games Sunday afternoon as LC was defeated 14-8 and 13-5 by USC-Lancaster. Spencer Bivens got the start in game one but didn’t figure in the decision as Tyler Holt took the loss out of the pen. Tyler Dickens took to the hill in game two where he picked up the loss throwing 4.2 innings of work where he gave up 13 runs, eight earned, on 16 hits. 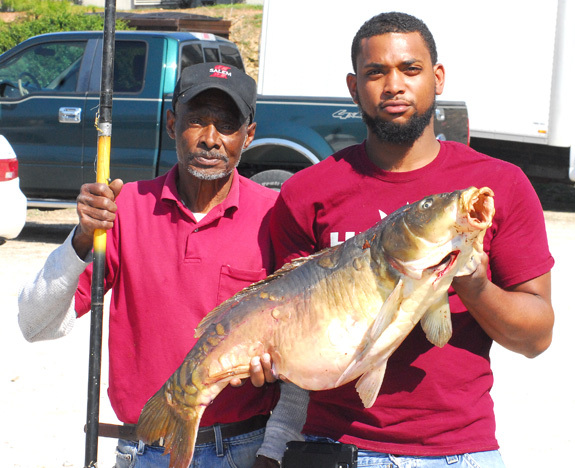 The grandfather-grandson duo of (l to r) Arthur and Chase Strickland hauled in this 42-pound whopper during a recent fishing expedition at a private pond in Franklin County. 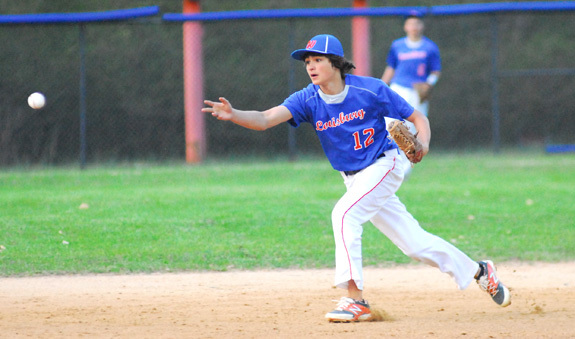 Louisburg’s Jake Murphy secures a fielder’s choice at second base during last Friday’s contest. 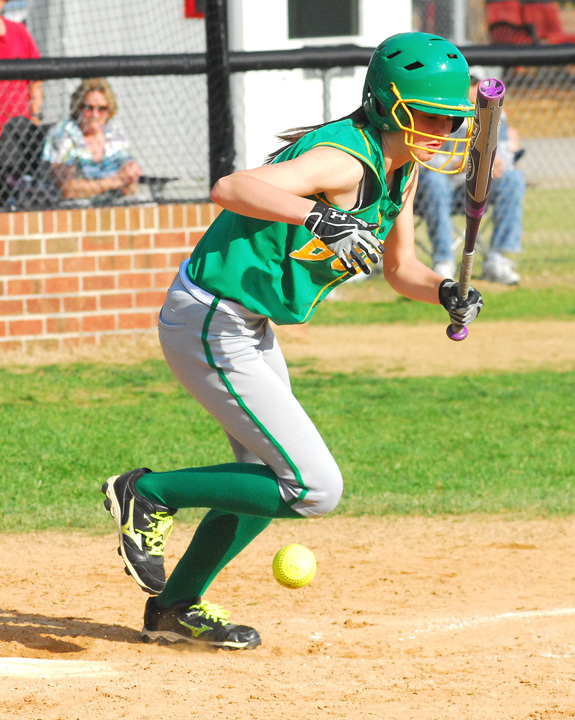 Bunn High School’s Amanda Dean executes a bunt for the Ladycats during last Thursday afternoon’s road triumph at Southern Nash. 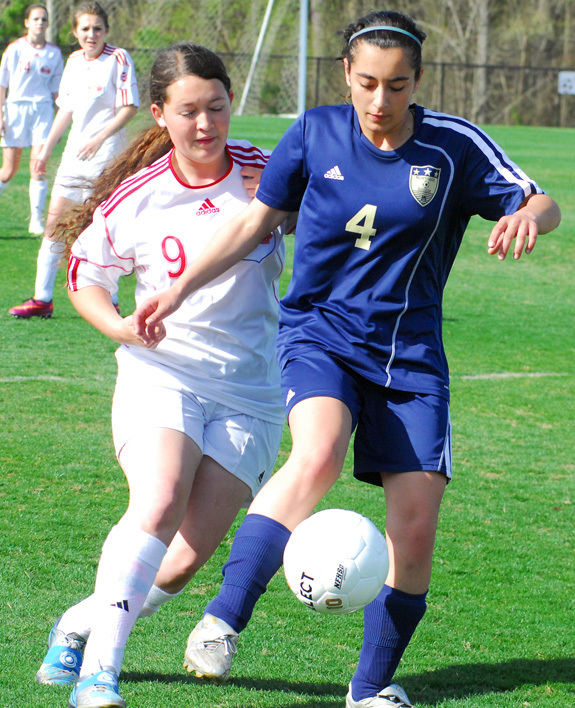 Franklinton’s Hannah Rayman wins this race to the ball for the Lady Rams as part of last Saturday morning’s match with Jacksonville Northside at The Brittany Girls Soccer Showcase in Wilson. Franklinton’s Morgan Wiggins (left) attempts to take the ball away from a Jacksonville Northside player during last Saturday morning’s action at The Brittany Girls Soccer Showcase at Gillette Park in Wilson. 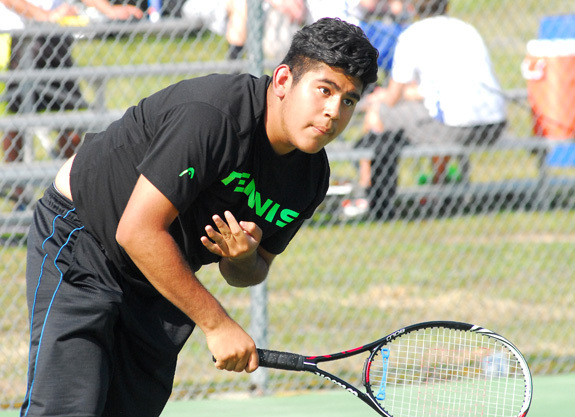 Louisburg’s Alejandro Rivera blasts a serve last Thursday afternoon against boys tennis rival Bunn. All college students eagerly await the start of their spring break. With the rigor of college with writing papers, participating in group projects, and reading numerous case studies, students can hardly wait to take a break from the demands of school. For some students, spring break means visiting family, taking a vacation with friends, or getting ahead in school work. 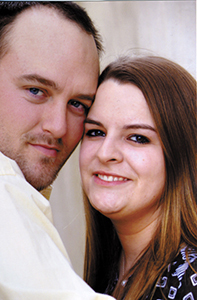 Mr. and Mrs. Bobby Allen of Louisburg announce the engagement of their daughter, Meagan Rebecca Allen to Ryan Gragg Hendrix. 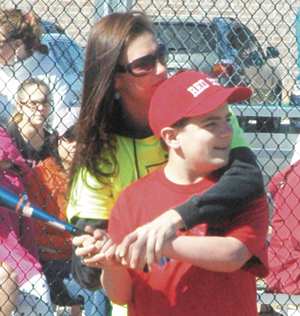 He is the son of Donna Hendrix of Louisburg and the late Larry Hendrix. A May wedding is planned. The April concert of the 2014 season at Warren County’s historic Cherry Hill will feature Ang Li, a Steinway artist/pianist, who will perform works by Bach, Hayden, Debussey, Wagner, Glass and Albeniz. Her performance is slated to begin at 3 p.m. Sunday, April 13, at Cherry Hill. 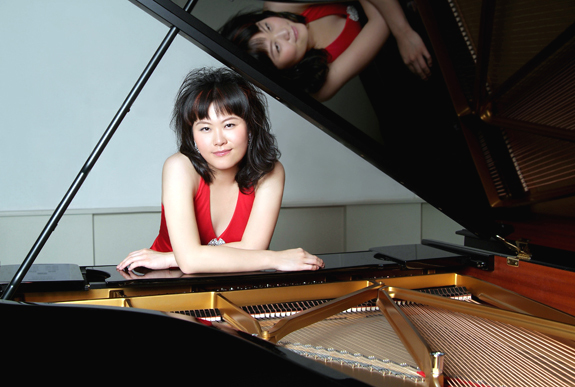 Ang Li is an internationally acclaimed piano virtuoso who is considered one of the rising classical piano stars. What would we do if we had the opportunity to meet the Resurrected Jesus face to face? Some of us probably would be afraid, others might fall down on their knees, and even others might dance or embrace Him. As the story goes, when Mary Magdalene recognized the resurrected Jesus, she embraced Him. As Jesus appeared to his disciples for the second time, Thomas, who had missed the resurrection, was asked by Jesus to touch Him. LOUISBURG ­— Police arrested a Louisburg man accused of taking out a utility pole and leaving the scene of the crime. Darick T. Green, 43, was additionally charged with drug possession. 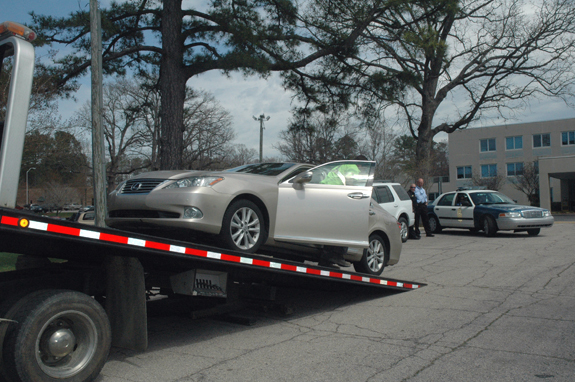 According to a report by Officer H. Battle, officers were called to Bickett Boulevard and Hill Street the afternoon of April 4 when someone found a car that had hit a utility pole. 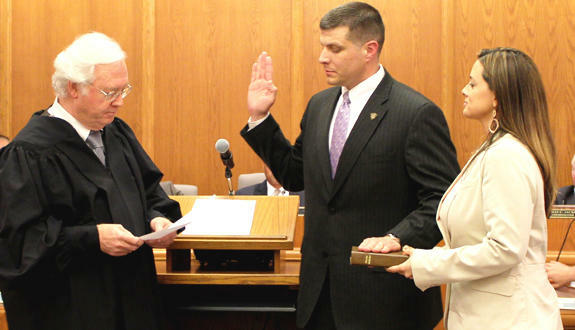 CREEDMOOR — Franklin County resident Keith King was sworn in as the new Chief of Police last month. King was raised in Louisburg, where he still resides with his family, wife Kristen and daughter Morgan. King spent more than half of his law enforcement career in larger state agencies, however when asked why he was interested in going to Creedmoor he noted that Creedmoor was much like the city he grew up in, adding “bigger is not always better. ZEBULON — Franklin County sheriff’s deputies arrested a woman charged in a domestic-related stabbing. The injuries to Lloyd M. Sanderford Jr. were not life-threatening. According to a report by Dep. Ivan Jones, officers responded the evening of April 3 to a home in the 100 block of Clinton Carlyle Road to find the 46-year-old man bleeding from an apparent knife strike to the back. LOUISBURG — In a swift board meeting, at least the public portion of it, commissioners approved two items. One of them, though, was pulled from the consent agenda for discussion. On Monday, commissioners agreed to provide a $2,500 grant for the Song of the Mountains Festival at Norris Creek, but not without objection from Commissioner Harry Foy. Spring is here and so is roadside litter! But there are ways to make a difference. BUNN — Authorities arrested two teenagers charged with carjacking a Garner man. Orlando Gibbs, 16, of Bunn, was charged with assault with a deadly weapon, possession of a stolen vehicle, felony larceny and larceny of a motor vehicle following an arrest the morning of April 9. Youngsville Officer J. Payne made the arrest following a traffic stop on Hinton Lane.